I have talked about Google’s Material Design in past. Not just introduction, I also posted themes and templates based on Material design. Material design is slowly but capturing The Internet. Main reason is the easy to use but good UX. This is the reason, I usually keep on posting web design resources for material design. I just came to know about a new material design icons set which is free to download. 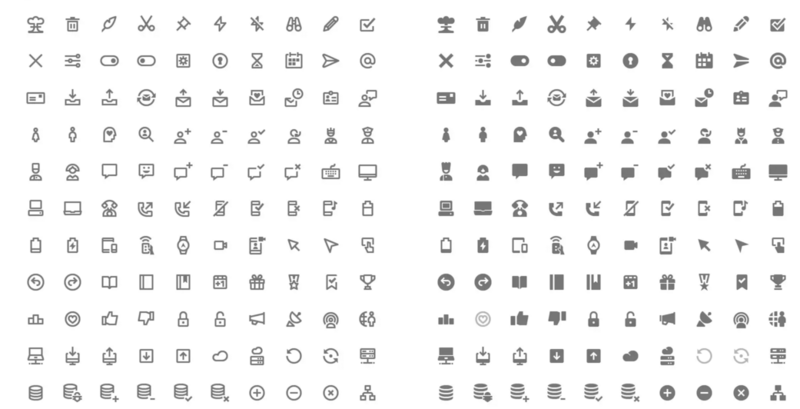 350 icons are more than enough for your web project. Use the download below. Icons are available for all kind of use. And this pack is free, so there is no problem in downloading and check what kind of icons this tool brings. If you know any this kind of opensource or freely available web design resources, you can share it with us and I will post it with readers.